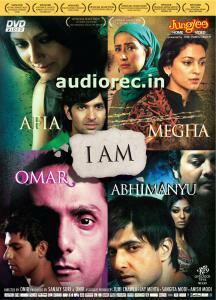 Am is a 2011 Indian anthology film by Onir. It consists of four short films: "Omar", "Afia", "Abhimanyu", and "Megha". Each film shares the common theme of fear, and each film is based on real-life stories. The film was financed by donations from more than 400 different people around the world, many of whom donated through social networking sites like Facebook. There are four stories but the characters are interwoven with each story. "Abhimanyu" is based on child abuse, "Omar" on gay rights, "Megha" is about Kashmiri Pandits and "Afia" deals with sperm donation. I Am was released with subtitles in all regions as six different languages are spoken in the film: Hindi, English, Kannada, Marathi, Bengali and Kashmiri.